Onboarding employees is difficult. A successful employee onboarding program is a necessity to improve retention, engagement, and productivity among your new hires. However, modern onboarding procedures can be long and arduous. Teams are sometimes using dozens of different tools that an employee with have to understand and familiarize themselves with. That can take weeks. Employee onboarding tools help to organize and automate specific onboarding processes and tasks within your organization. They attempt to make the entire onboarding process as seamless as possible. Some tools focus on very specific tasks while others take more of a big-picture approach. We couldn’t make this list without including our own tool, right? Organimi is an essential tool for onboarding new employees. One of the biggest information hurdles that a new employee has to get through is gaining an understanding of the internal structure of a company. Knowing who to go to with specific questions is important to make your onboarding process as smooth as possible and set yourself up for success throughout your time with the company. Organimi simplifies the process of creating and sharing org charts. Our simple drag-and-drop system allows you to import your data, arrange your org chart, and then share that org chart with viewers and collaborators. Using Organimi, keeping your org chart consistently updated is easy and can be handled by a team rather than an individual without having to worry about confusing version numbers. KiSSFLOW is an innovative HR automation platform. Their solution is easy to use and customize, including a number of employee onboarding tools that can help you to create visual representations and data for sharing with new hires in minutes using their drag-and-drop system. Their form builder makes it easy to capture employee information and the fact that the system is cloud-based means that it can be accessed from anywhere. KiSSFLOW integrates with all of the standard HRMS and payroll systems, while also offering API integrations for deeper flexibility. KiSSFLOW subscriptions come with a number of onboarding templates that can help to speed up the onboarding process. Another draw is their real-time dashboard, giving your HR teams a top-down view of their onboarding operations. BambooHR is a cloud-based HR platform that targets medium and small businesses. Their system features an in-depth HR suite that includes many different standard HR tools including ATS, onboarding apps, time-off management, and much more. If you are looking for a complete solution that handles all of the standard HR duties without having to flip between different apps, BambooHR is an excellent choice. Their backend is clean, consistent, and simple to use. They also offer advanced reporting functionality that allows your HR management team to have a complete view of the operations of their department. Zenefits is one of the best-known platforms for benefit management. The software plays an integral role in HR departments for some of the largest companies in the world. However, their system is also suitable for small and mid-sized businesses as well. The HR automation features that they offer make it easy for teams to manage their employee benefits, whether they have a traditional office setting or remote workforce. Zenefits is a fully-featured HR solution that includes payroll, benefits management, and compliance oversight. It’s an excellent investment for HR teams that are looking for a comprehensive solution. Zenefits also integrates with G Suite, Salesforce, Office 365, and Slack. Scoro is a complete solution for managing remote teams. It provides project management, collaboration, and billing management all in one easy-to-use solution. Their remote onboarding tools are fully fleshed out, providing a complete onboarding experience for new employees. For remote teams, investing in a solution like Scoro is a no-brainer. It provides a comprehensive solution, along with in-depth analysis tools that allow you to have an instant view of your entire team, track their progress on projects, and provide real-time reporting of the work that they have completed. Scoro integrates with a number of popular apps to ensure that teams don’t have to move away from their current solutions. SentricHR is a tool that is specifically designed for streamlining the onboarding process. It helps you to define and organize all of your onboarding processes, documents, employee information, and walks them through the process of joining your team. Their system is simple and includes a mobile app that employees use as they go through the process of onboarding. Their tool helps to improve engagement for employees and the people that manage them. The system also handles payroll, bringing all of your important HR functions together under one roof to offer a deep reporting solution. When it comes to delivering educational materials to your new hires and teams, Lessonly may be the best tool on the market today. Lessonly helps teams transform important work knowledge into lessons that help to teach new employees everything that they need to know. Lessonly goes deeper than simple video tutorials. It’s a full-blown training solution. The app helps you to connect with your team to teach them important process and operational information that they will need in their new job. You can share important work documents, Powerpoint presentations, and other files on any device. The Lessonly systems makes it easy for workers to practice and repeat lessons. They can always return on a lesson that they have previously completed. That means that a Lessonly subscription pays off for your employees throughout the full-term of their employment — not just when they are first hired. 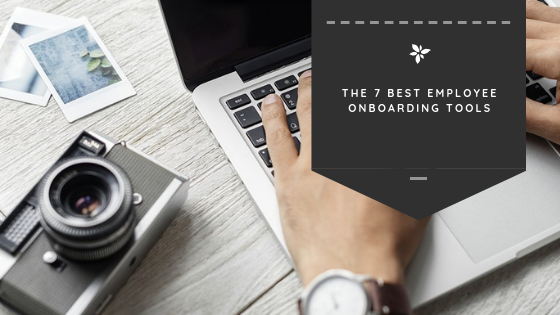 Employee onboarding tools help you to improve retention and make the process of bringing new employees on smooth both for the employees themselves and for the company. The tools in this article can help you to streamline specific processes or handle your entire HR operation.